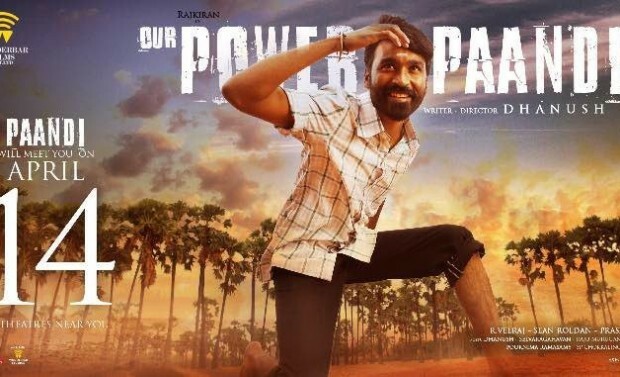 Power Paandi aka Pa Paandi Movie Review: Actor Dhanush’s directorial debut ‘Power Paandi aka Pa Paandi’ releasing worldwide on Friday, April 14th.Meanwhile, the film which had earlier been named Power Paandi, but changed as Pa Paandi to get the tax exemption benefits in Tamil Nadu. Produced under Dhanush’s Wunderbar Films banner, the film features veteran Actor Rajkiran, Prasanna, Revathi, Chaya Singh, and Vidyullekha Raman in lead roles. Actor Dhanush, popular director Gautham Vasudev Menon, actress Madonna Sebastian and tv host Dhivyadharshini will be seen in the cameo roles. Power Paandi is the family drama, which tells the life journey of a popular retired stunt master Paandian Pazhanisami (Power Paandi), who goes on a road trip in search of his first love. Paandi character which is portrayed by veteran actor Raj Kiran is on a self-exploration journey to find his own purpose in life. Revathy plays Raj Kiran’s love interest, Prasanna will be seen as his son named Raghavan, a software engineer and Chaya Singh plays his wife of Raghavan. Dhanush will appear in a cameo of younger version Paandi. Power Paandi scores the tight and light manner it talks about a very intense topic. 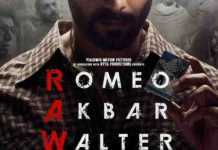 That’s where Dhanush really proves his mettle as a director. But it is Revathy who wins in an extended cameo role. Power Paandi outcome of embracing love, peace, and positivity around us. There have been very few films in Tamil that has dealt with the life of old man. The films attempt to showcase how the changing times impact a father-son relationship and try to tell that they both can co-exist in love. #PaPaandi – @dhanushkraja shines as a director. Engaging feel good entertainer, loved the matured romance between Revathi and Rajkiran. Ramesh Bala: #PaPaandi [3.5/5]: Writer/Dir @dhanushkraja has done an excellent job in his debut. Uses his experience and knowledge & delivers a Winner. Final Verdict: Dhanush does well with his directorial debut, The films attempts to showcase how the changing times impact a father-son relationship and tries to tell that they both can co-exist in love.